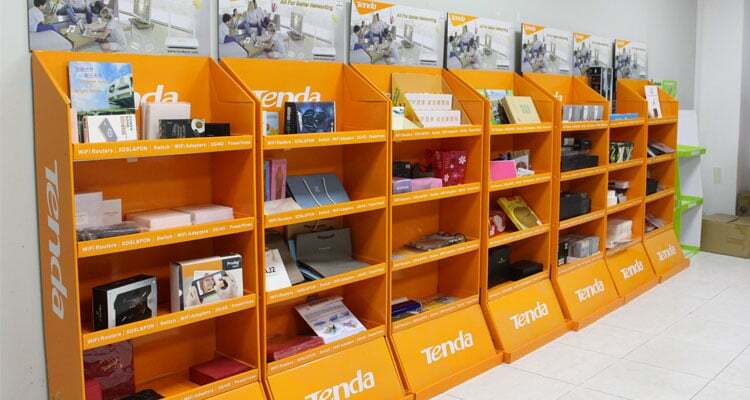 Cardboard display as a marketing tool, with the development of POP advertising. 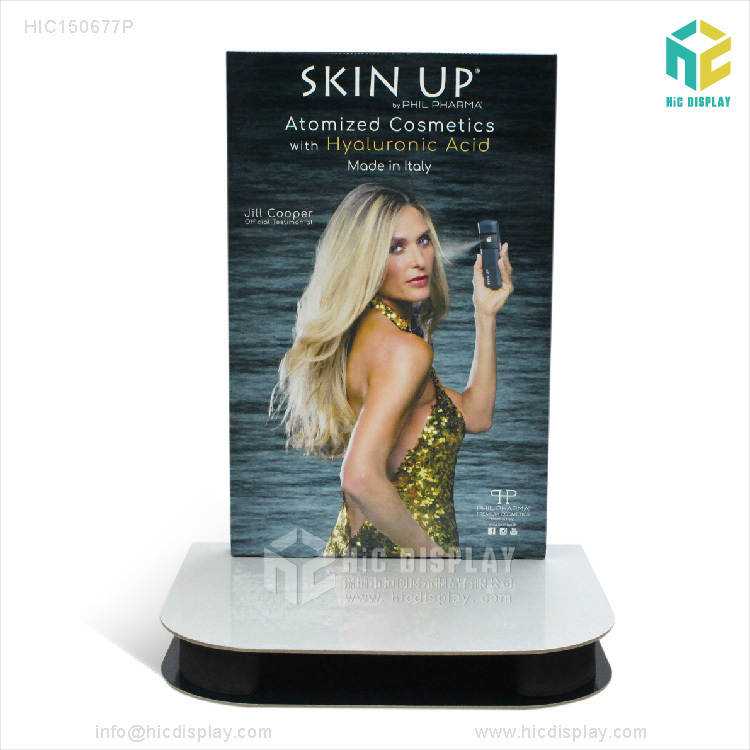 Early in Europe and the United States, exquisitely printed Cardboard display stands have been very common in foreign countries, widely used in food, cosmetic, household appliances, electronics, clothing and other industries. Many European and American packaging companies also believe that the production of paper shelves can improve the company’s technical level and the company’s sales capabilities, at the same time, it has the advantages of green environmental protection, convenient transportation, rapid assembly, etc., placed in sales venues, can play goods, The role of conveying information and promoting sales. Nowadays, the competition in all walks of life is intensifying. If you do not innovate, you will certainly be eliminated. Therefore, whether you are a small or large company, we must continue to innovate in order to provide better services and better products. To retain our old customers and attract more new customers. As a leading company in the paper shelf industry, we must also constantly strive to innovate and prepare for our development. If we want to survive in this fiercely competitive era, we must first of all continue to innovate. We must open up the popular creative printing market in order to achieve a victory in the popular paper-based promotional products in the terminal. There are more and more traditional printing competitors, and the printing price is low and then low. According to this change in the market, cardboard display stand manufacturers must at least do two things first: First, select a field to focus on research; Second, to To make features and form a brand, so that people do not have me, people have me well, naturally have no fear of competition. In the processing business of POP paper display racks, the logistics cost of paper display racks is very high. Therefore, the simple processing of paper display racks needs to be transformed into the creative design of paper display racks. The material of the initial paper display racks is mostly wood, acrylic, Metals, etc., 2,000 piles need 10 ten-ton trucks to load, logistics costs can be imagined. However, the emergence of paper display racks has solved these problems. Because the folding paper shelves take up space. It is much smaller and lighter than the material of wood and metal, and can also be further reduced in size through improved structural design. Combining prints with corrugated cardboard, wood, acrylic, plastic, metal and other materials, through creative design and structure Design, made into various forms of display props, this is the new era of POP products. Today’s paper shelf manufacturers have an outstanding advantage in the “full-industrial chain” model. Paper shelf manufacturers are basically the “industry design + processing + production + warehousing logistics” full-industrial chain model. So let paper shelves have a greater advantage. Less printing companies have weak design power, and advertising products are very demanding in this respect. It must be done beautifully and colors are very important; powerful advertising companies often do not have the processing and manufacturing capabilities to produce outsourced products. A good paper shelf manufacturer can well take responsibility for these tasks and produce a good cardboard display stand. 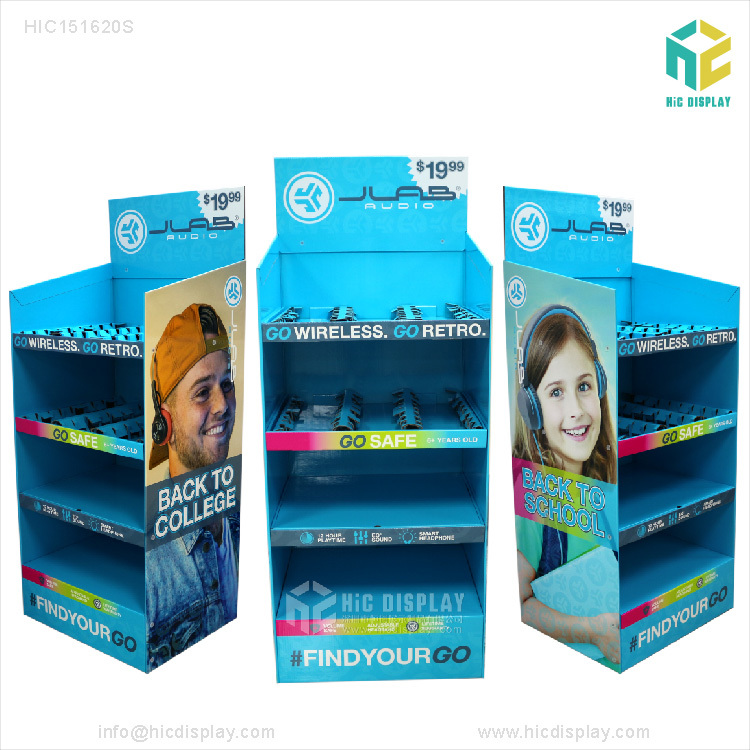 Shenzhen Hengchuang Display Products Co., Ltd. As an old company engaged in paper shelf production for many years, it is our responsibility to continuously promote the progress and development of paper shelves. Only this industry has grown, and our products have become well-known products. Our victory may really come.